Mary Kay® Tribute is a floral oriental scent that was created in honor of Mary Kay Ash, a woman who forever changed the lives of millions of women around the world. With the Pink Rose of Texas at the heart of the fragrance, it is a fitting “tribute” to this legendary woman. Top notes include Pink Grapefruit Blossom and Passion Fruit. Middle notes include Cherry Blossom and Pink Rose of Texas. Bottom notes include Cherry Vanilla Soufflé and Warm Amber Wood. Mary Kay® Tribute, created to honor Mary Kay Ash, the Founder of Mary Kay Cosmetics, perfectly captures the spirit of this remarkable woman, with specific ingredients chosen to represent different aspects of her life. The result is a unique floral oriental scent, inspired by the fragrance family Mary Kay loved best. The first impression is created by Pink Grapefruit Blossom, a favorite flower of the bumblebee, in recognition of Mary Kay’s much-loved story of determination and inspiration. 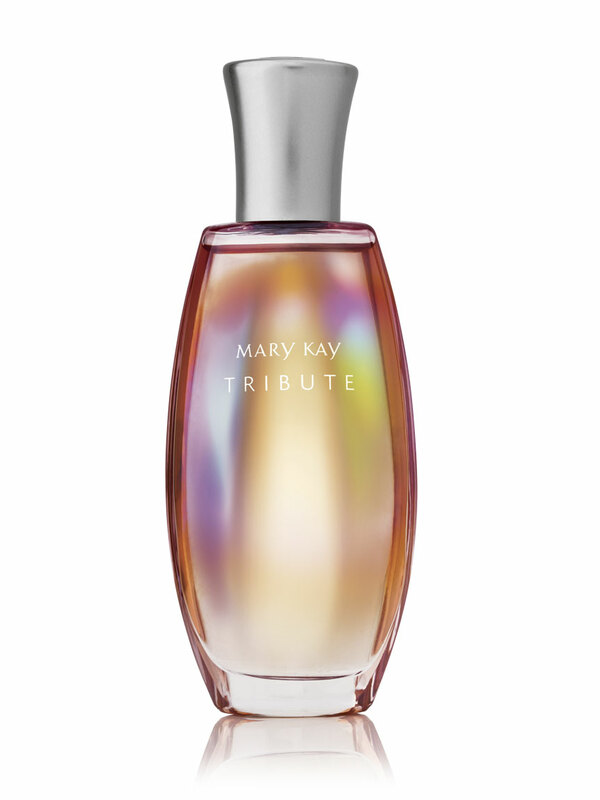 The addition of Passion Fruit pays tribute to the always-passionate enthusiasm for Mary Kay, the leader. At the heart of this fragrance, the Pink Rose of Texas honors the place where Mary Kay’s dream began. The Cherry Blossom, a symbol of Victorian times, adds an expression of Mary Kay’s legendary generosity. For the soul of this fragrance, Warm Amber Wood represents the warmth and wisdom of Mary Kay’s Golden Rule. And Cherry Vanilla Soufflé adds a very personal touch that symbolizes the memory of Mary Kay’s love of cooking. The skin is warmer on the pulse points – neck, wrist, bend of arm and back of knee – which helps the fragrance to evolve. So spray this fragrance onto these areas.